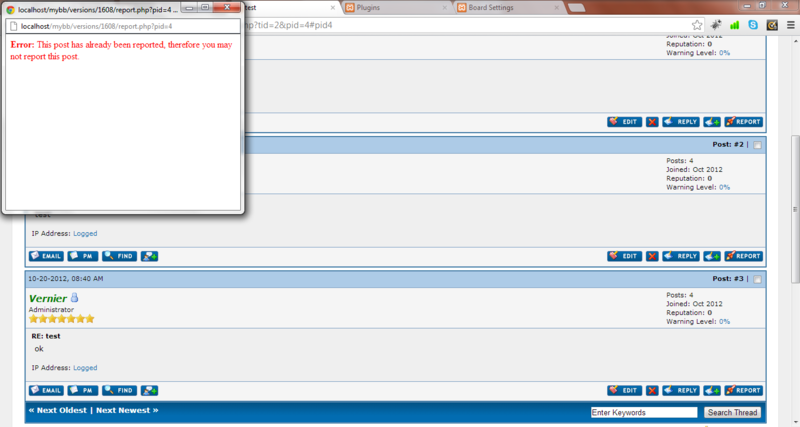 Allows users to report private messages to moderators. 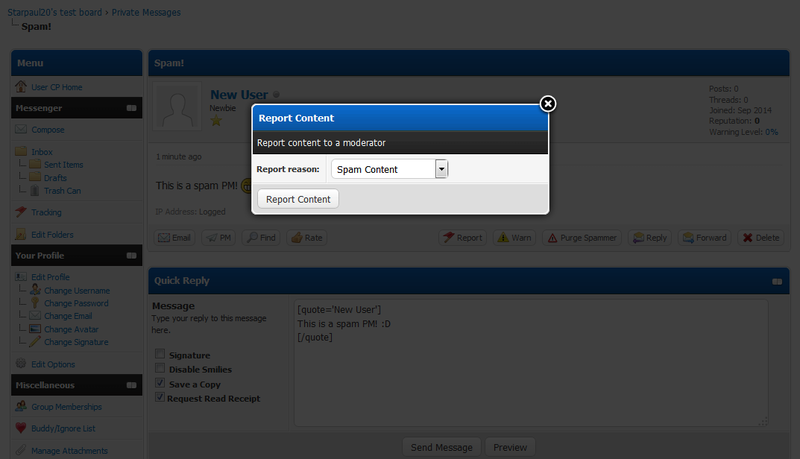 Allows users to report private messages to Administrators and Super Moderators if they are spam/abuse etc. This system integrates with the MyBB report center (PM reports can only be seen by Administrators and Super Moderators). Also integrates with report reasons. Erlaubt Moderatoren private Nachrichten zu lesen, die in ihrem Forum versendet wurden. Report Once only allows posts to be reported one time.